The Ancient Greeks were well-acquainted with sophisticated metal gearing mechanisms, such as the analog computer they used to predict the future paths of the sun, the moon, and the planets. Their engineering skills with gears and valves enabled them to produce a surprising variety of machines. Most of the inventions below were described by Hero of Alexandria, who lived in the first century AD. However, there is evidence that the Ancient Greeks were actually producing some of the machines Hero described in the third and second centuries BC. Hero described machines in two works – the Pneumatica and the Automata. If you put a coin into Hero’s vending machine, it would dispense clean water for you. The machine relied on a lever and a valve. Your coin entered through a slot at the top and landed on a small metal plate attached to a lever. This lifted the lever in the same way as you lift one side of a seesaw when you sit on the other side. Lifting the lever opened a valve which allowed water to flow through it. The coin slid off the plate, the lever dropped and the valve would close, awaiting another coin before releasing more water. The Ancient Greeks invented the cam and the camshaft. Cams converting circular to linear motion. 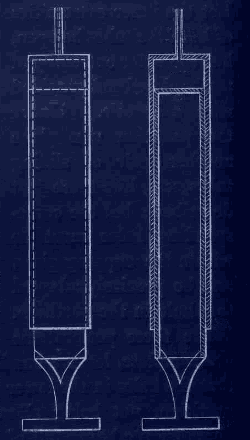 One example of Greek cam utilization came in the shape of a wind-powered pipe organ, described by Hero in the Pneumatica. Although a wind-powered organ might seem somewhat quaint, it was the first machine ever known to be powered by the wind. The wind turned a fan wheel, producing circular motion. A cam converted the circular motion to linear motion and powered a pump that pushed air into the organ’s pipes, producing sound. A waterclock based on Ctesibius’s design. Ctesibius of Alexandria lived about 300 years before Hero, in the third century BC – at about the same time as Archimedes and Eratosthenes. Ctesibius is often said to be the first person to identify that compressed air can be used to power devices (but see Archytas of Tarentum below). Ctesibius also used water to power machines. His waterclock or clepsydra was the best keeper of time until pendulums were introduced in the 1600s. Unfortunately, all of Ctesibius’s writings are lost. Fortunately, the first century BC Roman engineer and author Vitruvius had access to Commentaries of Ctesibius. Automatons appear earlier in Greek history, although the evidence for them is sketchier than in the examples above. Lucio Russo expresses interesting, sometimes rather speculative thoughts about how scientifically and technologically advanced Greek Hellenistic culture became before it was pushed aside by the Roman Empire. His book The Forgotten Revolution was published by Springer in 1996.